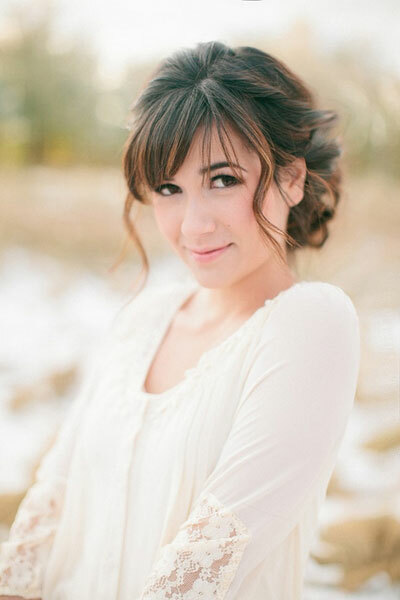 This low and loose updo is a perfect decision for a bride with bangs. She looks simply adorable with her natural looking makeup. Hair and Makeup by Steph, photography by Ciara Richardson.